iPhone 7 Has Been Jailbroken! iPhone 7 jailbreak has been successfully achieved by Italian developer, hacker and security researcher Luca Tedesco. Here are the details. Luca, who has become known for showing off private jailbreaks. has once again decided to show off his skills by posting a photo of an iPhone 7 with iOS 10 installed running Cydia. 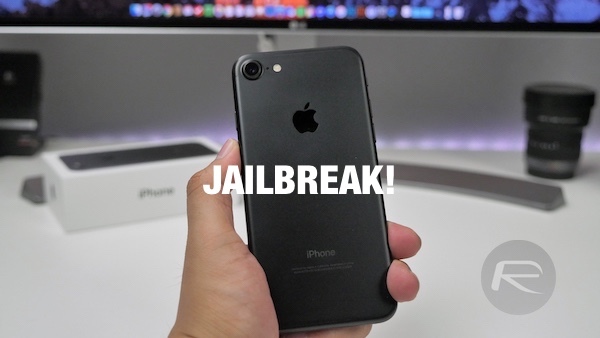 After recently releasing a video showing a jailbroken iPad running iOS 10, Luca has now decided once again to utilize his liberation skills to tease the jailbreak community by being the first person to showcase a functioning jailbreak on Apple’s new iPhone 7 range. 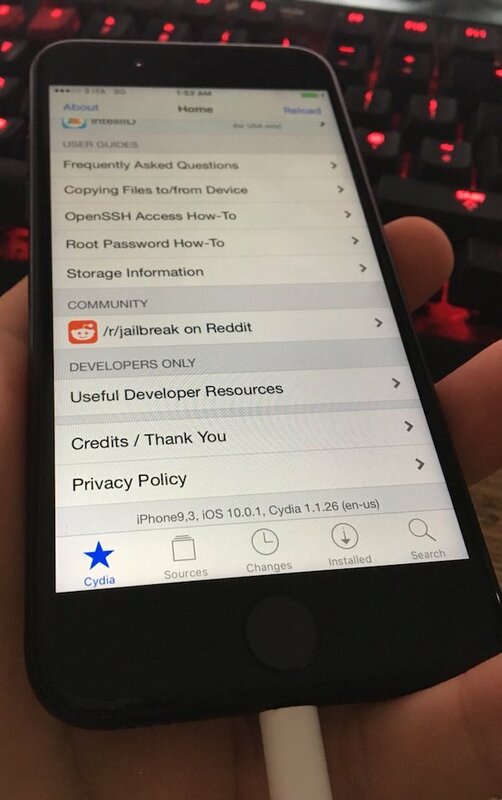 The tweet, which was posted from Luca’s @qwertyoruiopz Twitter account, was sent with the tagline “obligatory cydia screenshot”, and contained an attached image showing a Black version of Apple’s new iPhone 7, identified as “iPhone9,3”, running a version of Cydia shown as “Cydia 1.1.26 (en-us).” There will of course be the usual cries to suggest that the image has been Photoshopped to show Cydia running, and that it can’t truly be accepted as a functioning jailbreak until a video of the process is released, but given Luca’s past history and proven skill set, it’s pretty much nailed on that this is the real deal. The interesting thing to remember here is that it’s highly unlikely that the Italian developer will ever release the jailbreak or his methods to the public. Luca has consistently proven that he has the necessary skills and technical attributes required to find vulnerabilities in Apple’s iOS platform, and then exploit those vulnerabilities in order to get a working jailbreak. However, he has also shown time and time again that he performs these processes as part of his research into mobile security, and that he really has no intention of releasing anything to the wider community. With that in mind, it should still be particularly comforting for jailbreak enthusiasts to at least know that a jailbreak on Apple’s latest hardware running the latest firmware is technically possible. The challenge now will be for jailbreak teams, such as TaiG or Pangu, to either work in conjunction with Luca, or on their own, to piece together the necessary components to release something that can be used by the general public to liberate iOS 10 on as many devices as possible As always, we will keep you updated with any developments on the jailbreak front. Stay tuned. Update x2: Now that Apple has released iOS 10.0.2, with security document officially stating that it doesn’t change anything with respect to security compared to 10.0.1, it likely means that this jailbreak will work on iOS 10.0.2 as well. Update x3: Apple has now released iOS 10.1 betas. There’s no word yet on whether or not this works on iOS 10.1.
why does redmond pie keep running these worthless articles. Ok so who’s gonna go break into his house and steal the super secret documents?! I got $10 on a gofundme!! My advice is, when you see “Luca” in the article, stop reading right there and close the browser.